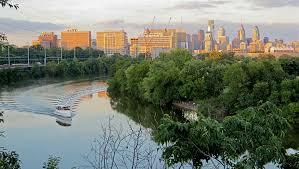 Join fellow alumni & their families for a Schuylkill River Boat Cruise to Historic Bartrams Garden. This 3-hour narrated boat tour includes a 2-hour stop at Bartram's Garden with guided tour of the newly restored 1731 house and Ann Bartram Carr garden. Boat is limited to 35 passengers, so sign up now to guarantee a spot!